It can be difficult remembering everything you need to do for your pug from day to day. They need their ears cleaned weekly, their folds cleaned anywhere from daily to weekly, their nails trimmed and brushing them. Then if you have more than one person in the house looking after them, you run the risk of missing doing something or even doubling up on tasks like feeding them their meals or treats, which is not good for your pug. 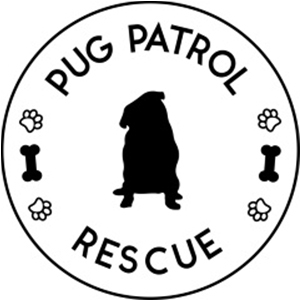 Having a Pug Care Checklist on hand so you and everyone else in the house knows exactly what needs to be done and if it has been done is a great option. 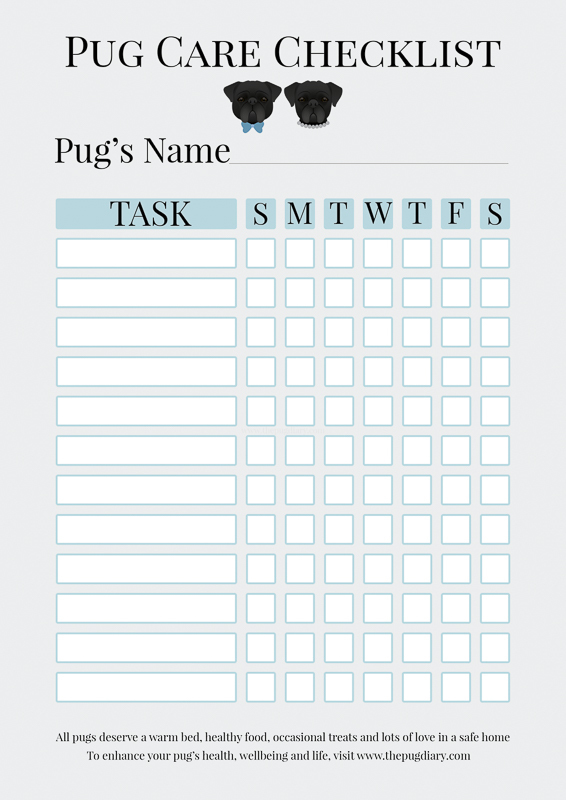 The Pug Diary’s Pug Care Checklist is an easy way to keep on top of your pug’s every day care. 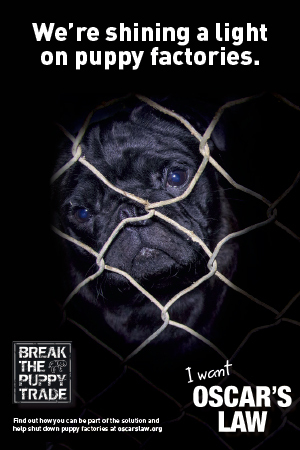 You can print it out and add it to your fridge or notice board so everyone can see what needs to be done for your pug. Once you have printed it out, you may like to write the tasks on the sheet and then laminate it. This way your tasks don’t change and you can use a whiteboard marker to check it off each day then start again each week. You can include any of the following tasks to add to your Pug Care Checklist or come up with some other tasks. You may want to print out a copy for a daily, weekly & monthly Pug Care Checklist to help you through every day of the year.